Sonic Six is a stunning multi-sample collection based on the rare, obscure and intriguing Sonic Six, a duophonic analog monster from the early '70s, the Moog love child. The Moog Sonic Six originated from the Sonic V, a duophonic analog synth designed for muSonics by Gene Zumcheck, an ex-Moog employee. When Moog and muSonics merged together, Bob Moog decided to modify the Sonic V and turn it into a Moog synth. So he returned to an alternative drawing for the Minimoog and placed the Sonic V into this. Just few additional features and the Sonic Six was born. The Sonic Six certainly differs from all other Moogs in look and feel, an experimental machine with a distinctive, alienated soul. 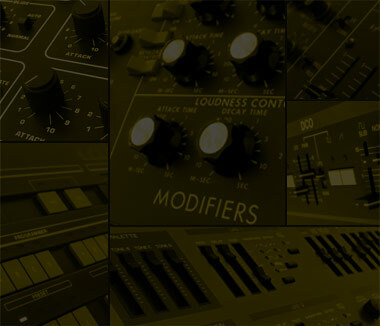 The Sonic Six sounds rough, aggressive, overwhelming and very different from any other Moog synth. This obscure synthesizer implements a diode ladder filter, a Ring Modulator, a Noise Generator, two discrete oscillators capable of two-operator FM synthesis and two independent LFOs with separate rates and waveforms. The LFOs can be affected by the envelope generator and mixed into each other, allowing extensive and unusual modulation possibilities. 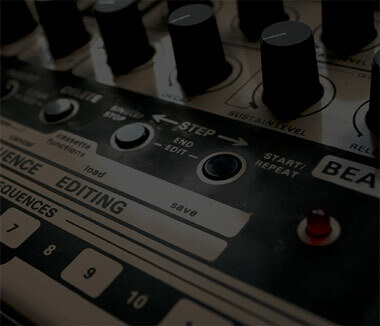 The Sonic Six is a great source for rough leads, polyrhythmic effects, ring modulated synths and exotic drilling sounds.